Hey, Throwdown fans, it's Wednesday so it's time for another color combination. This week it's my turn and I picked Certainly Celery, Barely Banana, Bashful Blue, and for yuks I threw in Brocade Blue. We hope you'll join in and show us your stuff! And there's no time limit--play whenever you can during the next week! If you play along with us, just upload your card to your blog or gallery and leave us a link here on Mr. Linky (please provide the link directly to your card so we don't have to search for it if it's a few days before we get a chance to take a look...we reserve the right to delete links that are posted incorrectly). If you upload your card to a public forum, please use the keyword CTD46 so we can see your beauty all in one place. And remember, if you play, you *could* be picked as our Featured Stamper next week! And *that* would put you in the running for Guest Designer for July! So, lets get stampin'! Now, take a look at the design team's samples and get inspired! Can't wait to see what you do with these colors! Such inspiring creations from the DT!! I love the color choices!! :) Thank you! Beautiful color combo today Barb!! 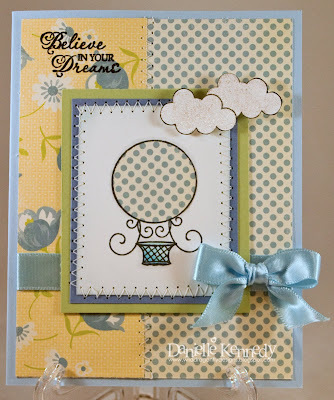 All of you ladies have made gorgeous samples for this weeks challenge! I'm getting the abort operation pop up when trying to leave my link! I'll keep trying...but leave it here too! Thanks! 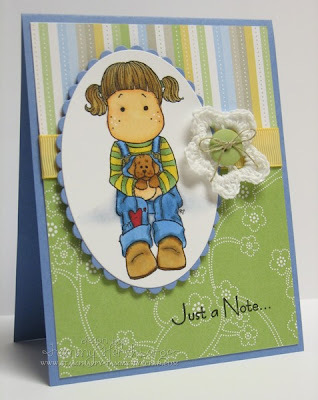 ... Joyful Stamper: A Sweet Little Helper! These are all beautiful. I have fixed my 'comment' problem. Please feel free to drop by and comment. I have an entire baby album done with these colors and a little bit of chocolate to top it off. Love these colors together! 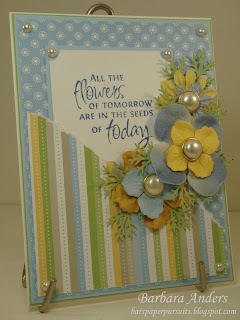 Wonderful DT cards!! Sorry about the lack of a direct link :(....I tried to go back and fix it but no luck. I will do it right next time, I Promise! Great cards from the design team!! I love them!! Great combination this week! I have posted my card in Mr Linky.